“He has been given no special treatment; he is like any other offender”. 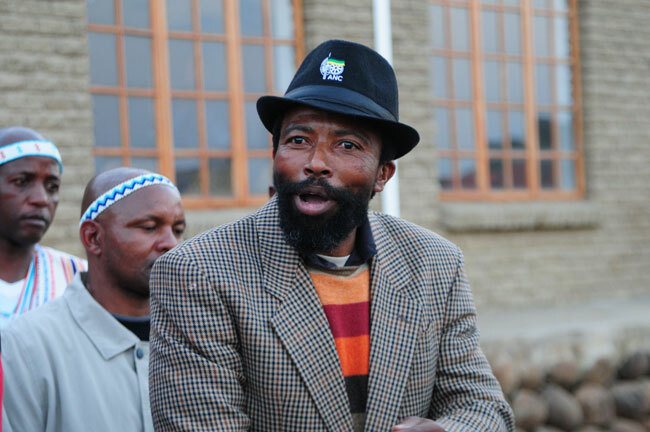 Jailed Abathembu Nation King, Buyelekhaya Dalindyebo, was readmitted to Life East London Hospital on Sunday after his medical condition again deteriorated Eastern Cape Correctional Services ahve confirmed. Department Spokesperson Zama Feni said Dalindyebo was discharged from Life St Dominics on Friday, but on Sunday morning his condition had deteriorated and he was taken back to hospital. Dalindyebo was previously admitted to hospital on January 8 after engaging in a hunger strike according to Economic Freedom Fighters leader Julius Malema, who had gone to visit the king at the time. Feni also dismissed recent reports by the Daily Dispatch that Dalindyebo had received special treatment, including a special food menu and a special cell while incarcerated. “He has been given no special treatment; he is like any other offender,” Feni said. Spokesperson for the Royal Family, Nkosi Daludomo Mtirara said he was unaware that Dalindyebo had been re-admitted to hospital when contacted by ANA. “I am not aware that he was taken back to hospital. We wish him a speedy recovery and we hope he gets better soon. We once again want to assure him of our support while he is going through correctional service processes,” he said. However, there appears disagreement over the succession plan with not everyone in favour of Dalindyebo’s anointed successor, his 23-year-old son, Prince Avenathi. Dalindyebo is currently serving a 12-year sentence on charges relating to kidnapping, assault, arson and defeating the ends of justice.